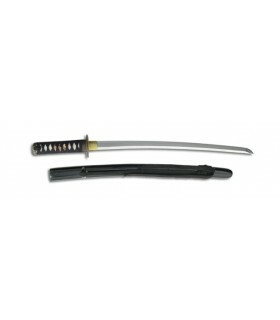 Battle-ready Wakizashi There are 8 products. Functional Wakizashi for martial arts training. With carbon steel blade forged hardened differential hardness HRC60 edge and HRC40 the mune. Functional Fitness with carbon steel blade forged in hardened steel wakizashi. 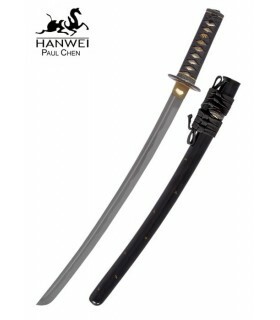 Tiger Wakizashi with hand-forged sheet steel K120C with Bo-Hi short. Tsuka in ray skin quality and sageo tsuka-ito and Japanese cotton fabrics. Saya lacquered black. The Fuchi, Kashira, Kojiri, Koiguchi and manufactured Kurigata old iron finish. Handmade Tsuba. Habaki one-piece brass. 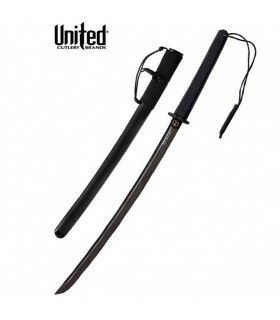 Wakizashi Honshu Boshin manufactured by United Cutlery. Noted for its elegant design and carbon steel blade 1060. The handle is anti-slip rubber with satin finish on guard and pommel. 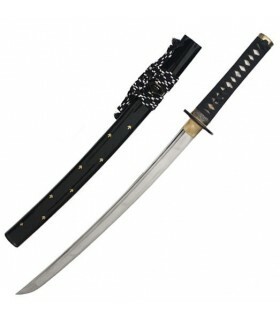 Tactical Wakizashi model Honshu with leaf sharpenedDamascus steel black. The blade is full tang and has the same width from the tip to the end of the handle, allowing precision cutting. The wakizashi Honshu comes with a polycarbonate shell wrapped in a part paracord and cover. Product manufactured by United Cultery with quality materials. Iaito Wakizashi of John Lee model Red Wood. 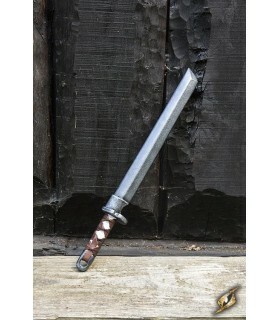 The iaito has a Shinogi-Zukuri blade without edge, forged by hand with stainless steel 420. The Habaki and the Seppa are made of bronze.The name of this piece derives from the brownish red color of the pod. 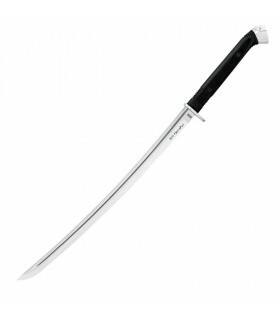 Wakizashi made of high-quality latex, ideal for Role-playing games. The sheet measures 40 cms. 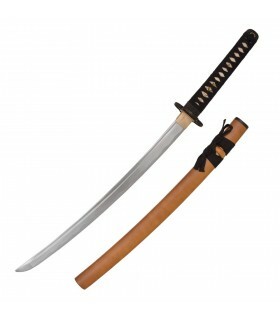 of a single edge and is hand-painted to resemble a real wakizashi. The grip is covered in leather to offer the warrior a better grip. 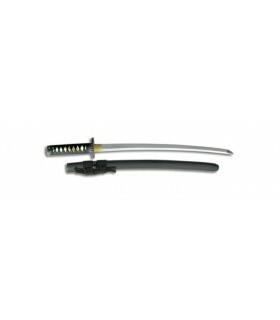 The wakizashi is reinforced on the inside with fiber glass.